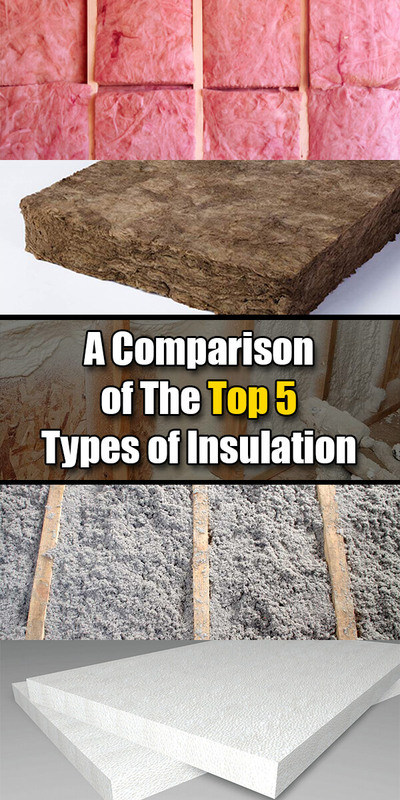 The five most popular types of insulation are fiberglass, mineral wool, cellulose, polyurethane foam and polystyrene. Many homeowners prefer fiberglass or polystyrene over the others because they are more affordable, and are generally easier to install for someone who’s going the DIY route instead of consulting the likes of Hire It Done to find a contractor to do it for them. Mineral wool and cellulose are more expensive than fiberglass and polystyrene but they are also environment friendly. Polyurethane foam is the most expensive option among the five popular types of insulation but it is arguably better than others. Insulation material should be assessed on the basis of its resistance value. This is denoted as R-value, depicting the extent of resistance to heat. The R-value indicates how effective a particular material is at resisting heat flow, from outside during summers and from inside during winters. Insulation materials should also be compared on the basis of environmental impact including carbon footprint, flammability and price. Many homeowners also want their chosen insulation material to provide some degree of noise cancellation. Fiberglass is the cheapest insulation material. It has an R-value of 3.1. It is eco-friendly and not flammable. It is not vulnerable to water absorption. Fiberglass requires deft handling. It poses some health risks during installation. The installers should wear protective gear for eyes and skin. Safety equipment is imperative as traces of fiberglass can damage the lungs if breathed in and they can cause eye problems. The maximum R-value of fiberglass is 3.8, which is more than sufficient even in the hottest regions across the country. Mineral wool is more expensive than fiberglass and has an R-value of 3.1. It is eco-friendly and not flammable. It does not support combustion and will not melt. Mineral wool is not a particular type of material but a classification. Glass wool made of recycled glass, rock wool derived from basalt and slag wool, all three are classified as mineral wool. Mineral wool is not combustible but it is not ideal in extremely hot climate. The maximum R-value attainable in mineral wool is 3.5. Cellulose is more reasonably priced than mineral wool and it offers an R-value of 3.7. It is eco-friendly but is also flammable. The carbon footprint of cellulose is minimal since a lot of recycled materials are used to make this insulation material. Cellulose is made of recycled paper and cardboard among other materials. The maximum R-value is 3.7. Although it is flammable, the resulting damage caused by a fire can be mitigated due to the lack of oxygen in the cellulose after it is installed. The installation is quite compact, leaving almost no air so a fire will cause less damage. Cellulose is quite hard to install. Polyurethane foam is an expensive option. It is not eco friendly and is flammable. In addition to insulating the house, it also contributes to noise cancellation. Polyurethane foam is light despite being effective. There are high density polyurethane foams that can attain an R-value of 6.3. The more ordinary ones have an R-value of 3.6. Polystyrene is a cheap option and has an R-value of 4 but is not eco-friendly and is flammable. It is difficult to install in imperfect places. Polystyrene is a type of thermoplastic foam and it is waterproof. It can also insulate sound. There are two kinds of polystyrene, expanded or EPS and extruded or XEPS. The latter is called Styrofoam. The maximum R-value of Styrofoam or XEPS polystyrene is 5.5.